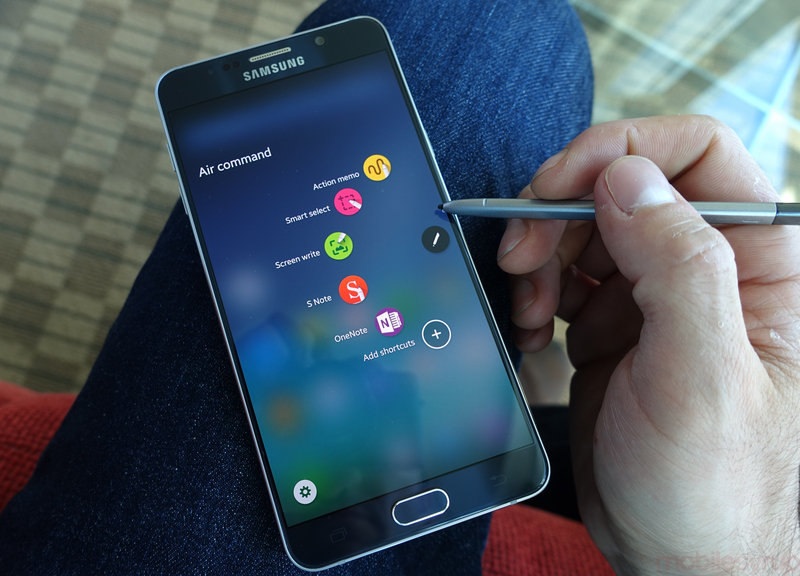 The Galaxy Note 5 is Samsung’s best phone ever, but by a narrower margin than any previous Galaxy device preceding it. That not only sums up the state of Samsung’s smartphone business, but the wider Android ecosystem in general. Devices, and the screens embedded in them, are getting bigger, negating the advantage the Note series held for so many years. 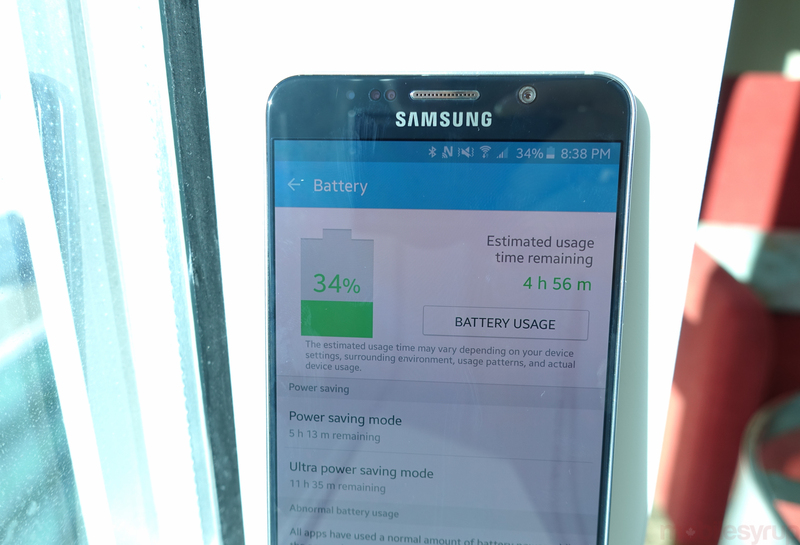 Its processor is fast, but no more so than the Galaxy S6’s; its S Pen is, to a small number of loyal users, a technical marvel, but it’s not a big enough leap from even two years ago to justify an upgrade; and its network performance and battery life — qualities that would have demonstrably stood out just two years ago — are now just plainly good. Make no mistake: the Note 5 is a superbly built product, carefully carved from years of Samsung’s shame and regret. But as it moves from being an oversized niche product into its place atop the heap of the Korean giant’s growing pile of metal and glass smartphones, is it no longer something special in its esotericism. 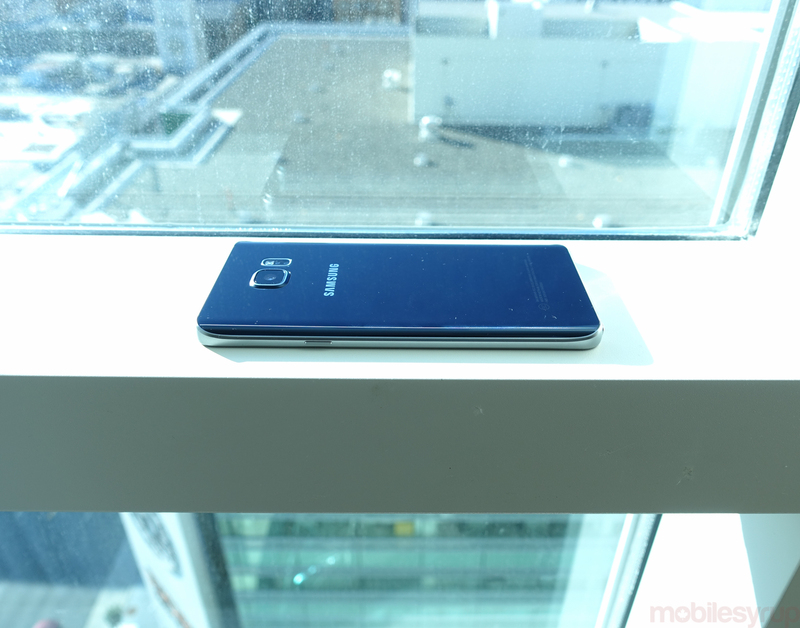 This review was written after using a Telus-branded, manually unlocked Galaxy Note 5 for just over two weeks in Toronto on the Rogers and Telus network in Canada, and for a couple of days on the AT&T network in the U.S. 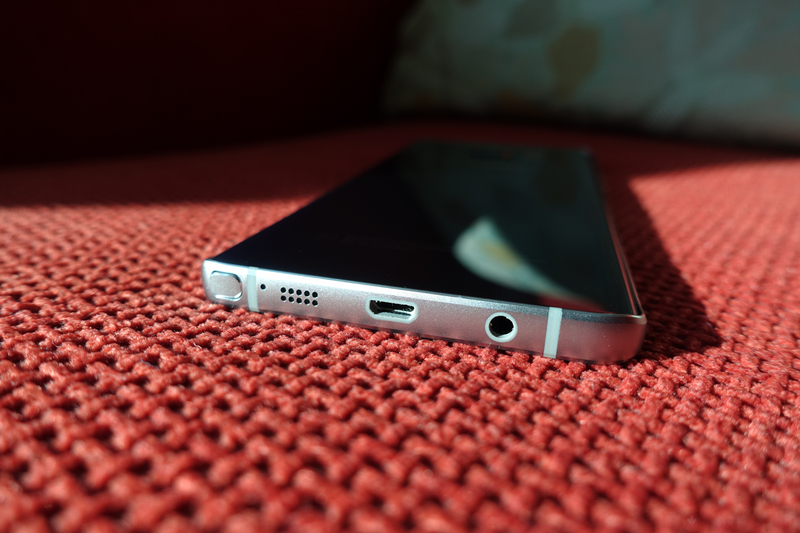 The entirety of the Note 5’s design can be summed in one word: subtle. From the gentle curves of the rear glass meeting the stripped down, etched 7000-series aluminum of the frame, Samsung reinforced, after the release of the Galaxy S6 earlier this year, that it has this manufacturing thing down pat. Suspect is the fact that it took so long — years of griping and several quarters of declining sales — to get here, since Samsung’s unabashed use of plastic until 2014 was one of its smartphones’ defining characteristics. Still a big phone, and not as easy to use in one hand as the Galaxy S6, the Note 5 is smaller is nearly every way from its predecessor without diminishing the screen real estate. 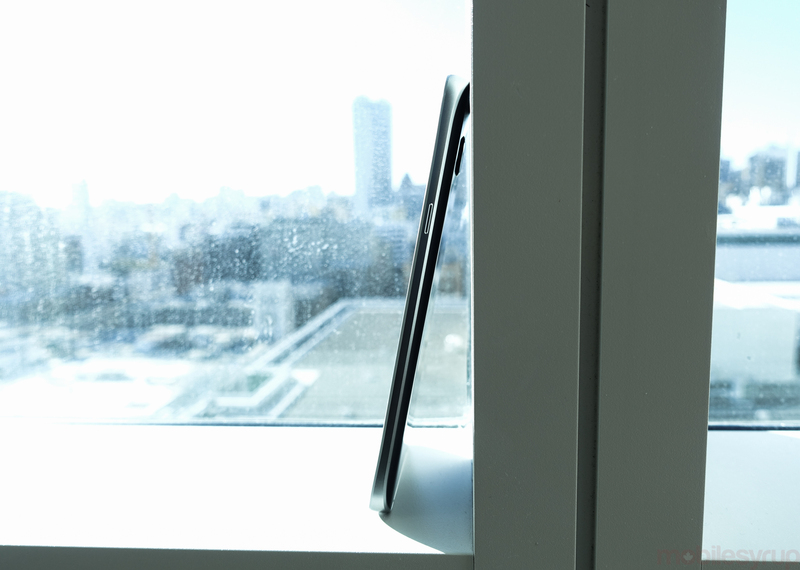 That screen, a 5.7-inch quad HD display, is one of the best on the market. Bright and sharp, with superb viewing angles and colour reproduction, Samsung has all but perfected the mobile display. Though the saturation and tone of the colours can be altered, Samsung has figured out how to make its AMOLED technology, which by default sports a white balance a bit colder and bluer than the typical LCD panel, look almost indistinguishable from those of the best backlit displays on the market. But AMOLED technology still, and likely always will, have the advantage of deep, perfect blacks. 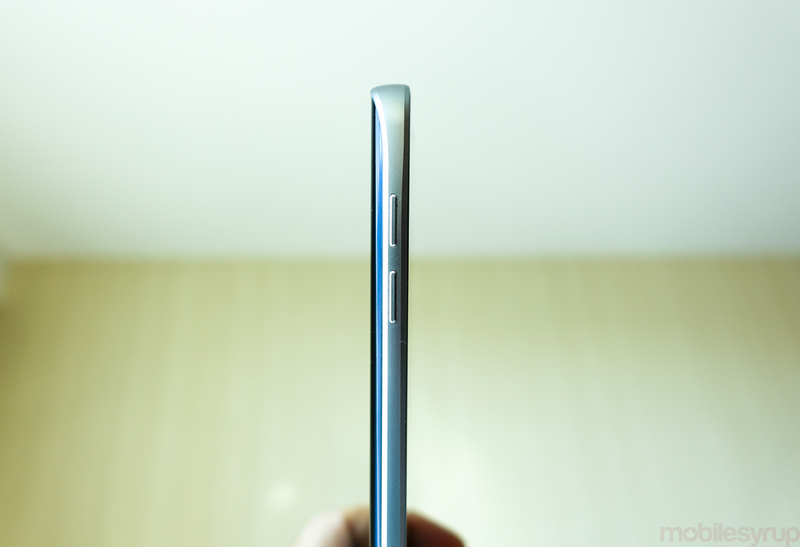 The Note 5’s body is ever so slightly boxier than the S6’s more rounded edges, but from the front looks alike. Turning it around, though, reveals the company’s secret weapon: a glass back plate that curves inward towards the bezel, not unlike the display on the Galaxy S6 edge and its larger edge+ counterpart. And while having an infinity pool display is little more than a technology demo (albeit a pretty impressive one), the same design on the back allows the hand to grip and rest one’s fingers along the edges more easily. 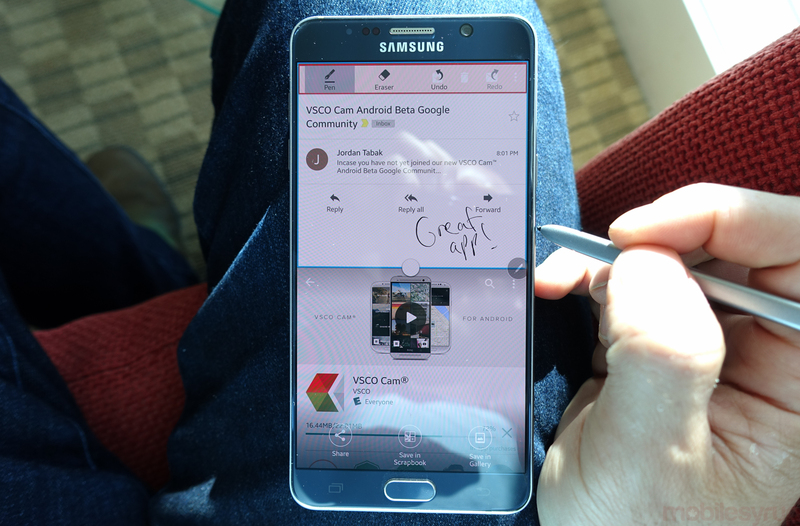 Holding the Galaxy Note 5 is surprisingly easy as a result, despite the typically slippery nature of glass and metal. Samsung hasn’t changed anything from last year’s Note 4 — which was also covered in a metal frame — in terms of button placement. The left-side volume down button rests slightly above the alignment of the right-side power button, avoiding situations where turning on the phone would inadvertently lower the volume. The home button, which doubles as a fingerprint sensor, is slightly more “clicky” than the Note 4’s, but Samsung’s insistence on switching the location of the typical back and multitasking buttons still irks all these years later. It feels like change for change sake, and doesn’t add anything to the experience, especially when transitioning from nearly any other Android smartphone. The phone has a couple of tricks up its sleeve to minimize discomfort when used in one hand. 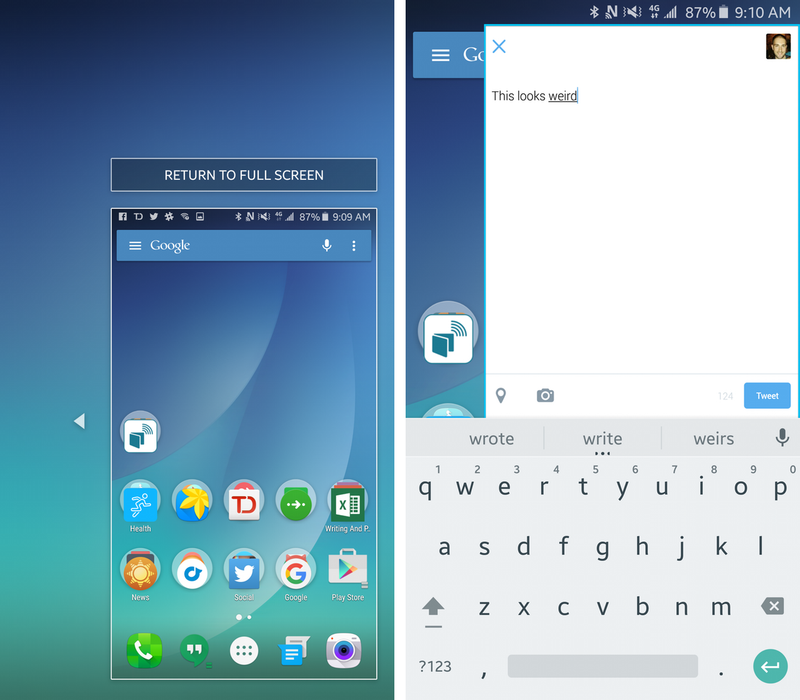 A holdover from 2013-era Galaxy devices, it’s still possible to swipe down on a window from the top left to resize the entire app, but even more useful is the ability to triple-click on the home button to resize the entire UI, including the keyboard. I still personally prefer the size of the 5.1-inch Galaxy S6, but there is no getting around the fact that the Note 5’s 5.7-inch display is superior for watching media. In many ways, the Note 5 runs the same software as the Galaxy S6 — or what the Galaxy S6 can look forward to once it is upgraded to Android 5.1.1. There aren’t a lot of surprises here, largely because Samsung has shown restraint in how many changes it’s made between versions. 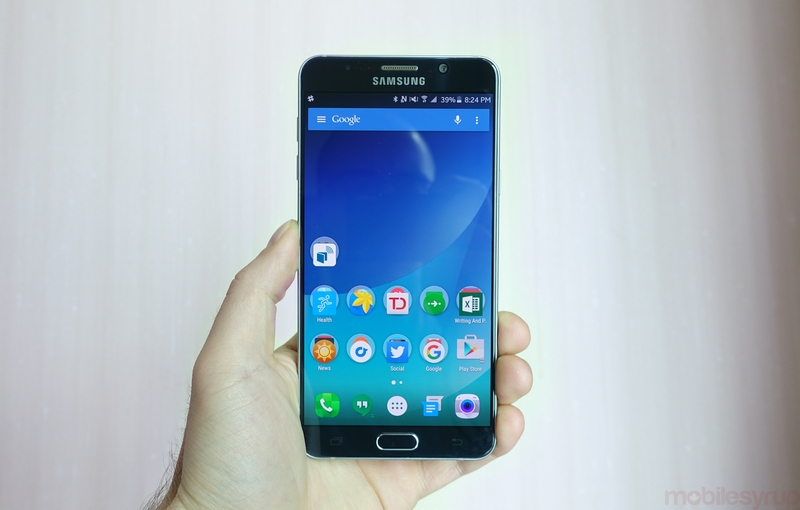 This is clearly the best TouchWiz variant ever, with smooth, lush performance that is unrivalled on Android. I decided to delay this review by a week to find out whether the software issues reported by others — mainly in the U.S. — carried over to the Canadian version. While few visual changes are evident between Note 5 variants across carriers, it appears that the Canadian version is free from the memory and aggressive task-killing issues plaguing the U.S. variants. My Telus-branded device shipped with just one carrier app, along with Samsung’s retinue of first-party experiences, including the oft-derided Galaxy Apps store, and a number of Microsoft apps, including Word, PowerPoint, Excel, OneNote and OneDrive. I happen to have a Galaxy S6 running Android 5.1.1, and while there aren’t many features separating it from the Note 5, a couple big ones crop up in the camera app: RAW photo capture, and the ability to set manual shutter speed. These aren’t major inclusions, especially since Samsung has decided to support Google’s Camera2 API across all of its devices on Android 5.1.1, so third-party apps can make up the difference. 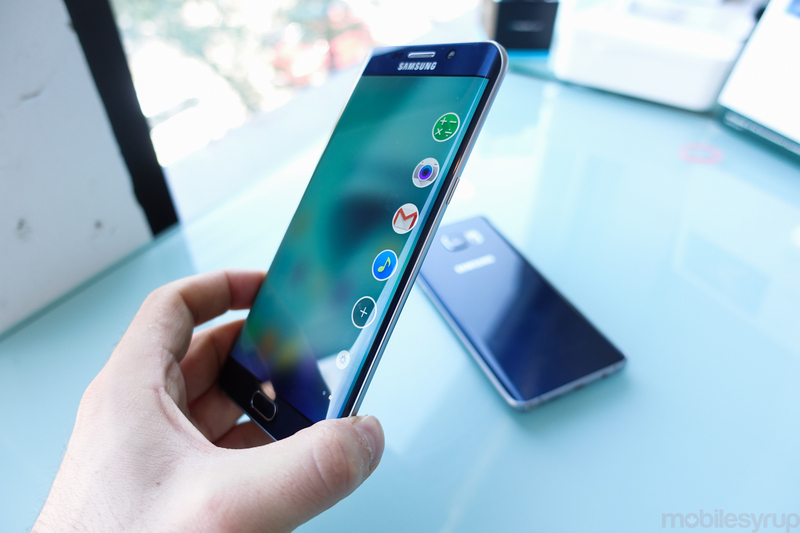 Because the Note 5 contains the same internal hardware as the Galaxy S6, performance is unsurprisingly similar. As predicted, Android 5.1.1 makes the whole thing run more smoothly, but I noticed no significant improvements in synthetic benchmarks over the smaller predecessor. This is the first North American Note variant that runs the same hardware as its Galaxy S equivalent from the same year, but don’t expect that extra one gigabyte of memory to alter the experience in any way. Memory management improvements come from Android 5.1.1. Samsung has made tremendous improvements to both the S Pen stylus itself in this generation, as well as the underlying technology behind the input recognition. 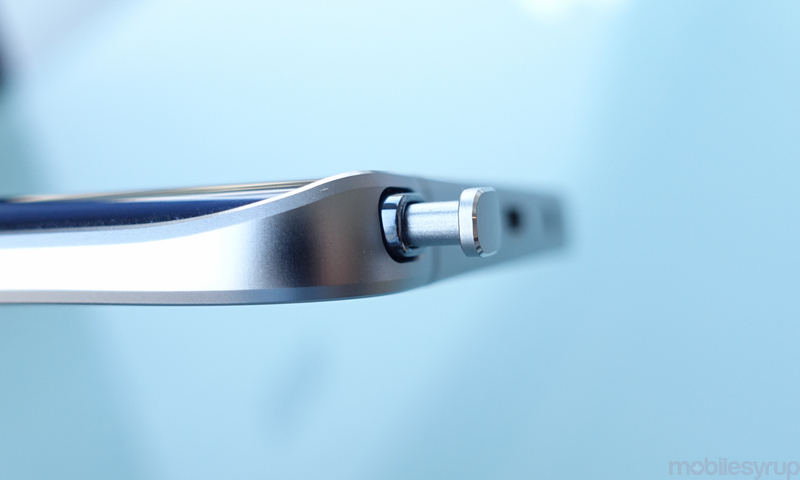 Penghazi aside – let’s assume you won’t accidentally break the functionality by inserting the stylus backwards – there is a lot to like about the S Pen. Not only has Air Command received a big upgrade, now sprouting app shortcut tendrils whenever the S Pen is removed with a satisfying click from its slot, but the new functionality inside each feature is a boon for productivity. One new feature, Scroll Capture, which lives in the ultra-simple Screen Write toggle, uses Android’s natural extensibility prowess to take scrolling screenshots, which can later be annotated. It’s a natural fit with the Note 5’s large screen and improved stylus, and the kind of thoughtful software additions Samsung should be focusing on. 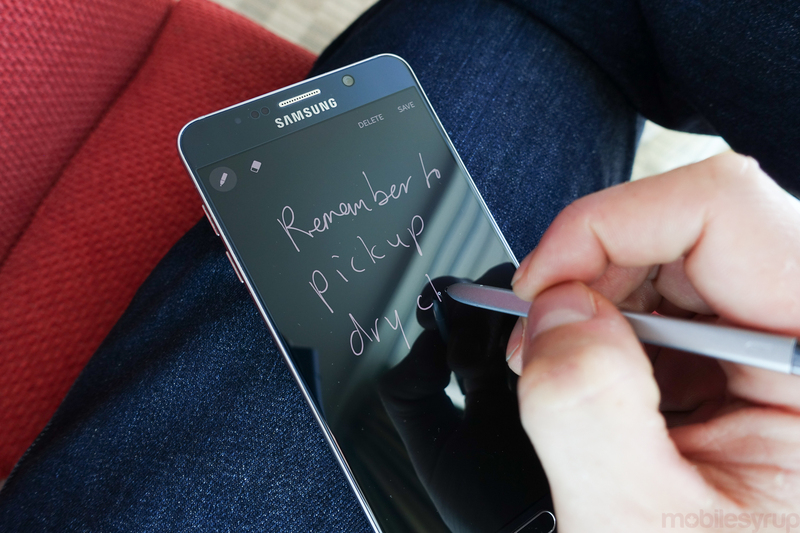 Similarly, the S Pen can now be used when the display is off to capture quick notes on the go. Simply removing the stylus from its holder activates the feature which, once completed, saves it to the S Note app for further perusal. The S Pen’s accuracy has been vastly improved this year, too, all but eliminating the latency and memory problems from previous Note devices. The former means that handwriting feels more natural, translating into a more accurate facsimile of one’s real script; the latter means that in memory-intensive apps like S Note or OneNote, the pen no longer drags after a couple pages of scribbling. 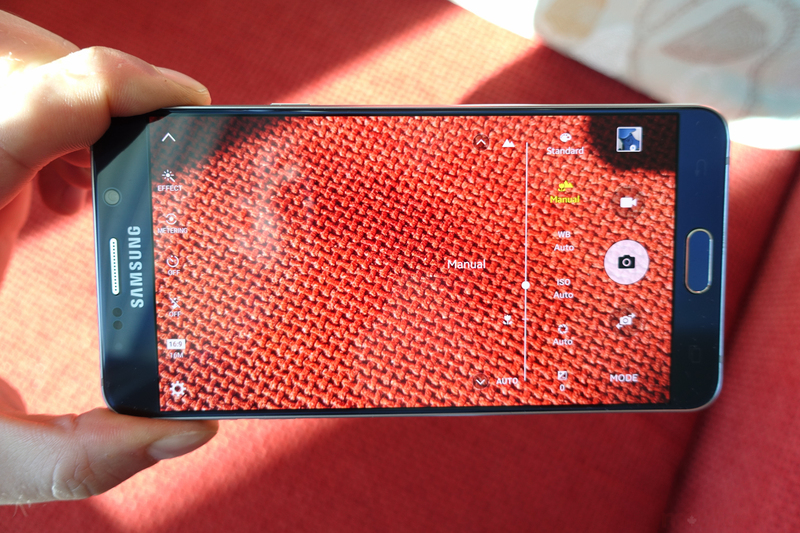 As proven with the Note 4, and then with the Galaxy S6, Samsung makes the best Android camera experience, period. Other devices have come close over the past few months – the LG G4 the closest – but the combination of Sony’s IMX230 sensor, an ultra-sharp F1.9 lens, and Samsung’s custom image signal processor give it an edge. 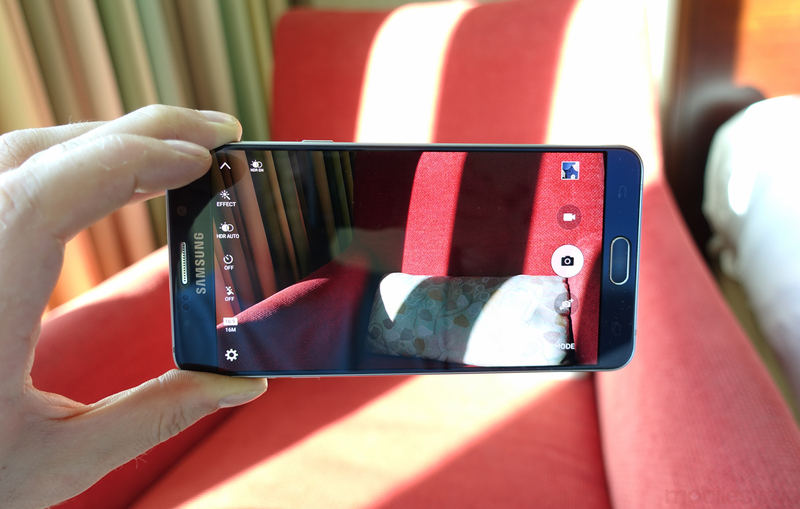 To sum it up, the Note 5’s camera experience feels expensive. After opening in half a second, the camera focuses and shoots right every time. When left in Auto mode, the 16MP sensor captures an incredible amount of detail, especially in good light. The wide-angle sensor is a bit of an issue for portraiture, but that seems to be the direction the smartphone industry is going – capture first, crop later. The Note 5’s optical image stabilization is an improvement over the S6’s, resulting in video that’s less jumpy, especially while walking. Apple’s iPhone 6 Plus still has an edge here, but the delta is closing generation over generation. In low light, the device performs admirably as well, able to use a combination of slower shutter speed and what appears to be interpolation – the combining of surrounding pixels into a single larger one – to capture indelibly great imagery. 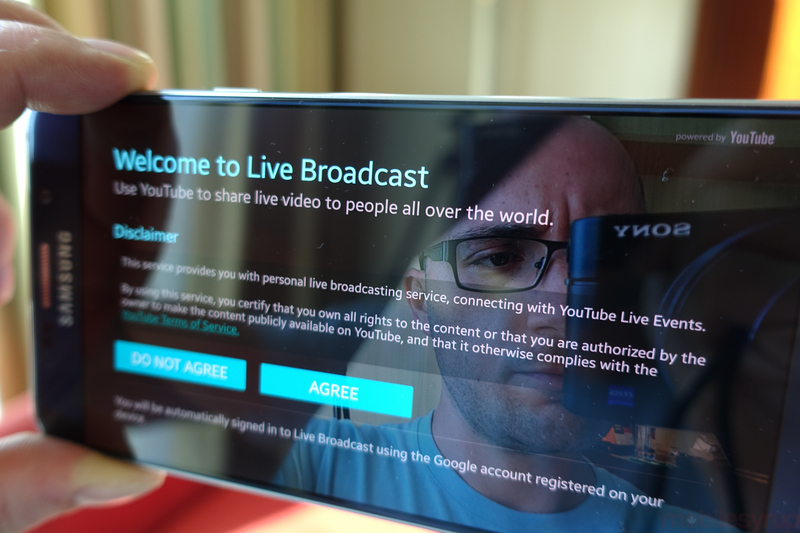 The new camera modes, like Live Broadcast and Video Collage, are interesting but likely don’t have long-term appeal. The former broadcasts, a la Periscope and Meerkat, to YouTube’s livestreaming platform, but lacks the social backend to make it a formidable competitor. You can share the link with whomever wants to tune in, but without a live chat function and direct mobile app support for viewers, uptake is going to be slow. Video Collage is what it sounds like: six seconds of video, with sound, captured four times, spread into equally sized boxes. There’s potential for some real creativity here, and it fills in a gap in Android’s app ecosystem. Ultra HD 4K video has returned, and the results are better than ever, but perhaps the best addition is the ability to capture 1080p video at 60fps. Video quality, like its still counterpart, is extremely impressive on the Note 5. Many of the photos I was able to take on the Note 5 would have been unthinkable just two years ago. From macro shots with true bokeh, afforded by a depth of field unmatched on a mobile device, to well-stitched panorama shots, should the Note 5 be in your price range it should be considered for the camera features alone. This year’s Note has a slightly smaller 3,000mAh cell than the Note 4, which had a 3,220mAh battery, but a more efficient chip largely makes up the difference. Still, the battery life I obtained was a knock against the product. 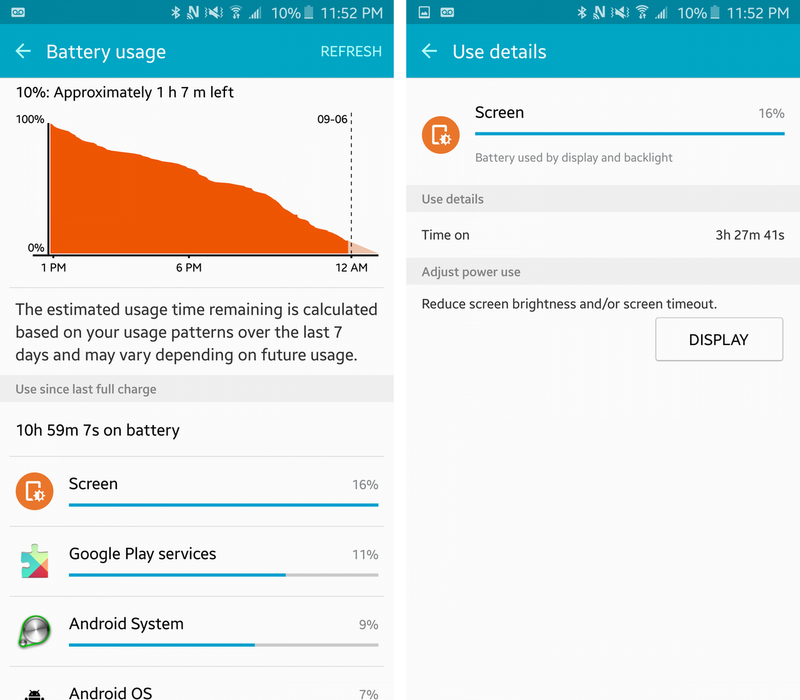 In my nearly three weeks of using the phone as my daily driver, I rarely finished the day with more than 10 percent battery remaining, and some days I needed to charge it for a bit to ensure I had enough juice to reach bedtime. As with the Galaxy S6, the Note 5 supports both wireless charging standards, Qi and PMA, as well as Fast Charging, which takes just 90 minutes to fully replenish the lithium-ion cell. But that’s not really the selling feature – it’s the ability to plug in the phone for 10 or 20 minutes and receive two to three hours of actual usability. 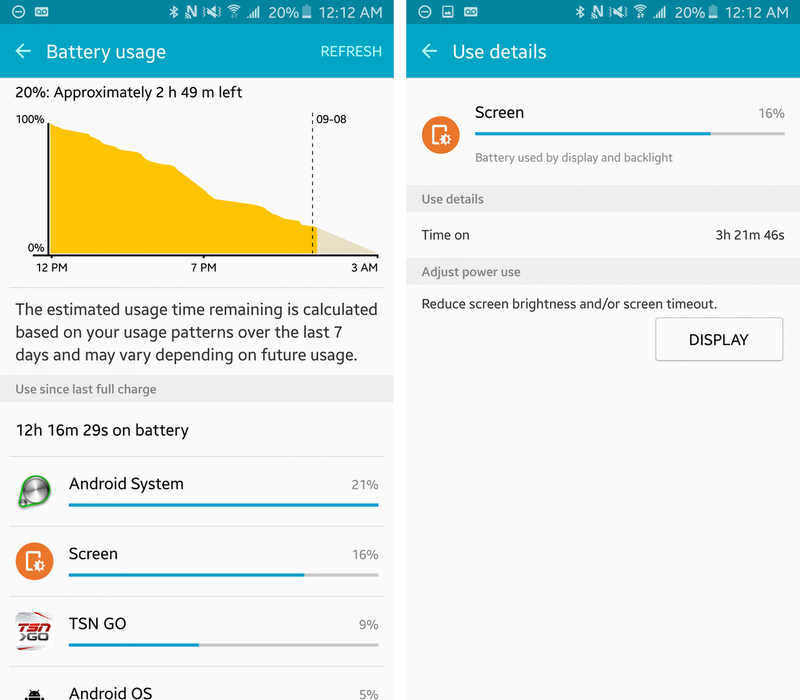 On the days I didn’t plug it in, the Note 5 lasted around 13-15 hours, with three to four hours of Screen on Time, a metric often used to determine the true efficacy of a device’s battery performance. Of course, not having a removable battery will be a concern for some people, but my suggestion is to purchase a lightweight battery back from Anker. 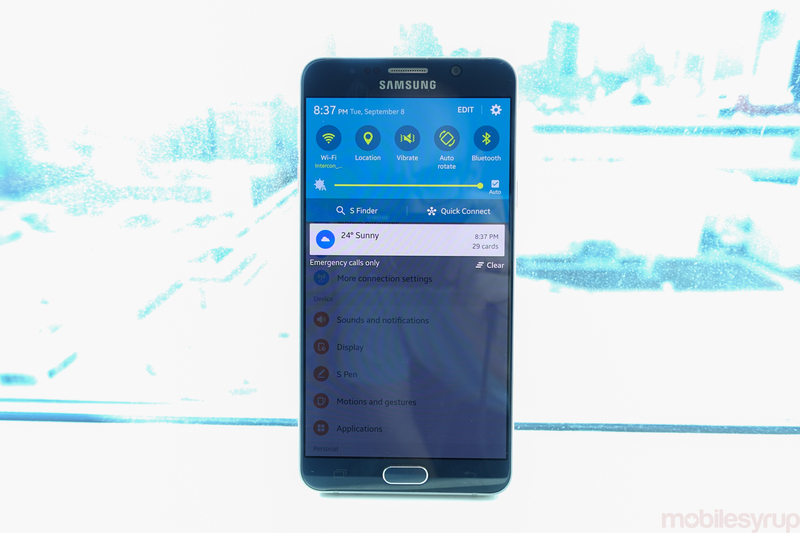 Samsung is the first company to roll out Category 9 LTE support with the Note 5, and while our Telus test unit wasn’t able to take advantage of the nearly-300Mbps speeds – it requires tri-band LTE support, which is currently only offered in small pockets of Toronto, Hamilton, Oakville, and Halifax on Bell’s network. I was able to regularly achieve real-world speeds of over 100Mbps on Telus’s and Rogers’ networks when connected to two LTE bands using carrier aggregation. Suffice it to say, even without Bell’s latest and greatest, the Note 5 is demonstrably one of the fastest devices on the market from a network perspective, and tends to be a year ahead of Apple in adopting new LTE standards. While the Note 5 supports Voice Over LTE (VoLTE) on Rogers, I wasn’t able to test the new feature. Voice quality was superb from the earpiece, but the Note 5’s downward-facing mono speaker was not impressive, especially since companies like Motorola and HTC have taken steps to raise the bar of external smartphone sound. Finally, I’d be remiss not to mention that the Note 5 does not have a microSD slot, and that there is no 64GB or 128GB option. In other words, Canadians get 32GB (24GB usable) or bust. That’s neither good business, nor particularly reassuring when it comes to future-proofing the product, but I feel like we can blame the carriers for this one, since Samsung does offer a 64GB variant in other regions. 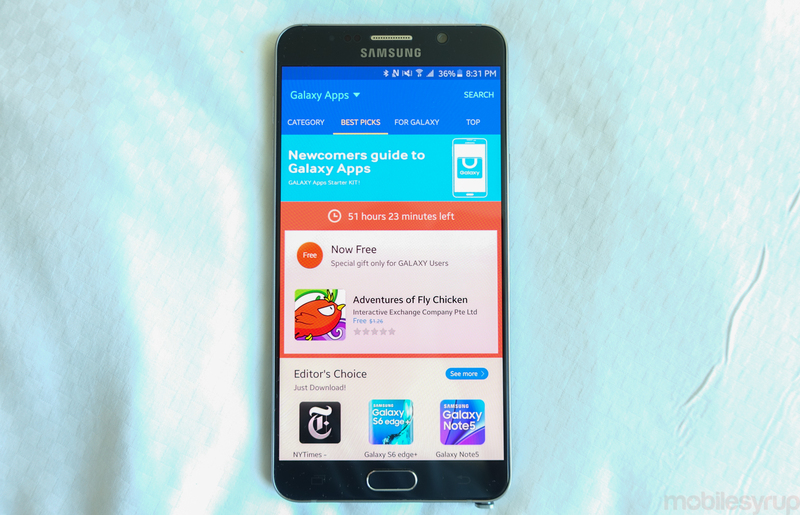 The Galaxy Note 5 is a great smartphone, and a better one than its S6 edge+ counterpart, despite the $100 discount. But the niche nature of its S Pen are becoming increasingly evident with each passing year. 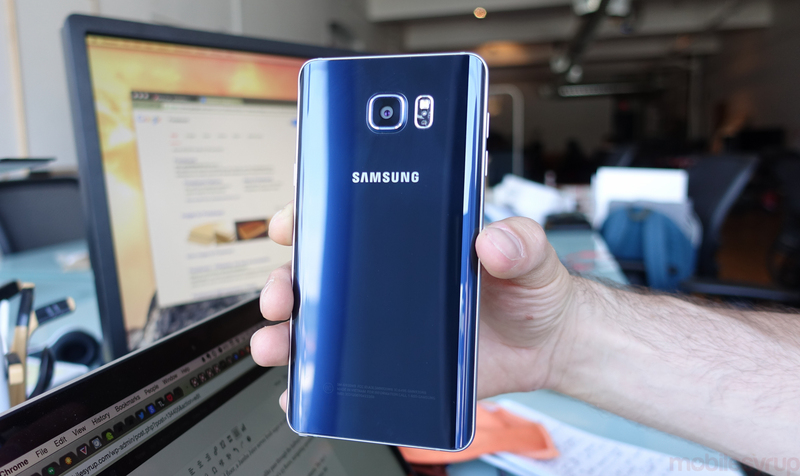 Indeed, even Samsung hedged on that point, making only the S6 edge+ available in Europe. 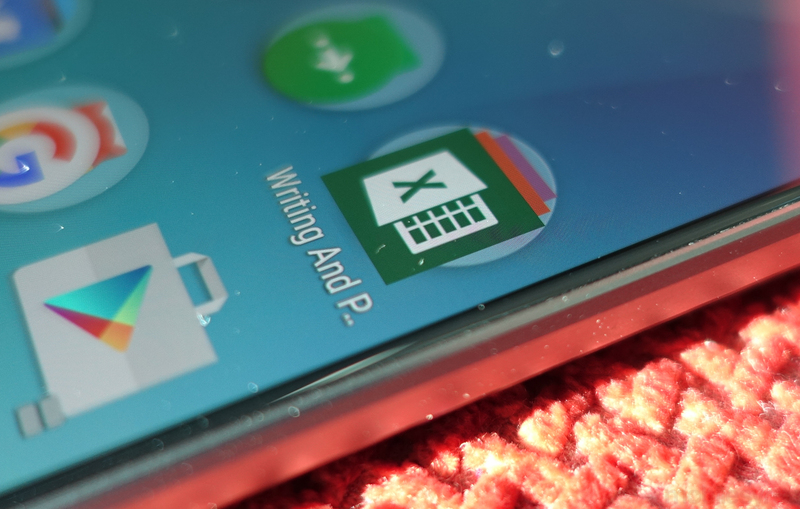 The S Pen hasn’t improved in a vacuum, either: text input, from Samsung’s own virtual keyboard to Google’s, SwiftKey’s and others, have also increased in intelligence and reliability. And as we move away from the daily ritual of handwriting, from school to jobs, the stylus, like the pen, will increasingly be seen as a specialized tool. Taking the markup abilities out of the equation leaves us with a well-built big smartphone with plenty of power and a great screen. The Note series used to be practically the only name in that category just two years, but a 5.7-inch QHD display is quickly becoming a standard spec in the $600+ category. 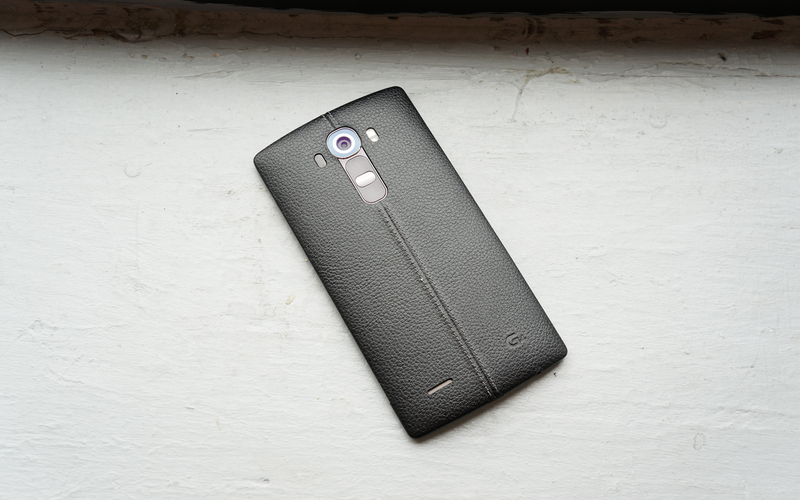 The LG G4 is nearly as capable and quite a bit cheaper, while the Galaxy S6 itself is still as relevant to Android users as it was six months ago upon its release. Cheaper smartphones are also impossible to ignore: the Asus ZenFone 2, Alcatel OneTouch Idol 3, Moto X Play and others are tearing up the idea of what a big smartphone can do in the $300 to $500 price bracket, making devices like the Note 5 less justifiable. There’s no question of tasting the premium when you hold this phone, but to many Canadians the above three devices will more than suffice. 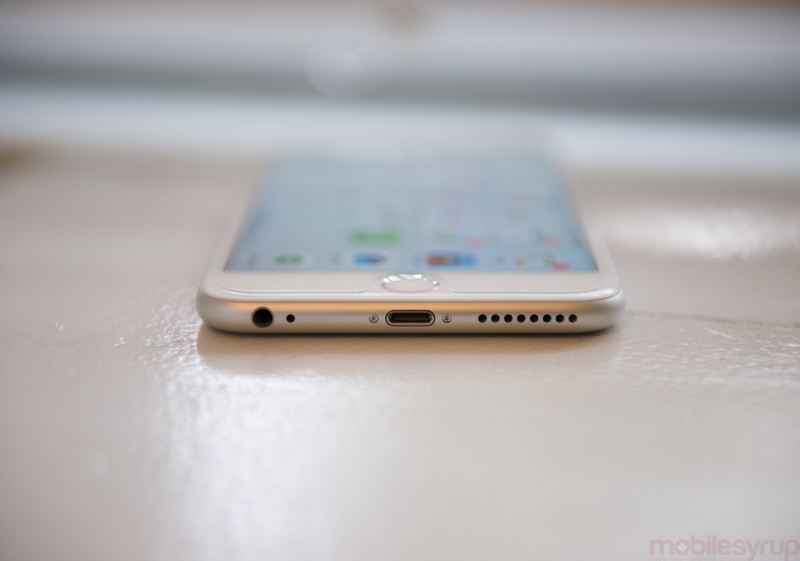 And then there’s the iPhone 6 Plus and its soon to be successor, the iPhone 6s Plus. Apple has proven it can steal millions of customers away from Samsung, and will continue doing so this year. The App Store has such an advantage in terms of apps, games and other specialized content it’s difficult to see Android ever catching up. Android OEMs can make as many great smartphones as they want, but if developers still prefer iOS, Apple’s big phone will continue to shine. The Note 5 is my favourite Samsung device to date, and proof that the company can hunker down and improve in the areas in which it was previously so behind. But the last year has been humbling to the Korean giant. It is losing market share to Apple in the high end and being undercut by a number of upstarts in the low to mid range. It has no choice but to up its game. 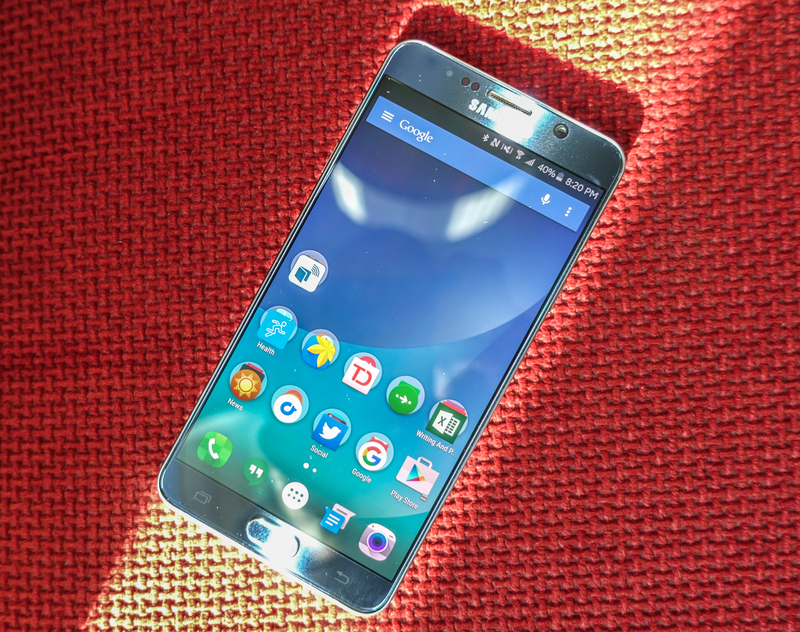 The Note 5 is potently capable, the height of Android’s hardware promise. But it’s an expensive promise, and one that’s occasionally let down by Android’s software.